Apartment N. 125: It can accommodate up to 4 people, it is rented from 100 € per Night (not per person). This structure consists of two studios and it can accommodate up to 4 people. Overall, this holiday home has 2 bedrooms, 2 bathrooms and 2 kitchens. Among the services offered there are Wi-Fi, air conditioning and television. Due to their strategic location, these two apartments are the ideal base for couples who want to visit the magical city of Venice. St. Mark's Square, in fact, is only 10 minutes walk and the beautiful theater “la Fenice” is 550 meters away. “I campi” of Santo Stefano and St. Angelo are just a few steps away. Finally to get to other parts of the lagoon, stop San Samuele vaporetto is about 200 meters. We remind you that pets are allowed and for couples with small children is also available a cot. Thanks to Valentina who allowed us to deposit our luggage in the apartment at 11 am before check-in at 2 pm. Clean apartment and linen, 5 minutes walk from San Samuele pier. Serious team service, fast, no complaints ... to recommend, thanks. 3 minutes from San Angelo 15 minutes from San Marco exceptional location - room a bit dark (1 window) with adjacent bathroom - the price of the studio deserves 1 microwave which would be much more practical than the ceramic plate - very nice welcome of Valentina. Your rental service is perfect. Very cozy apartment very comfortable, clean, as fantastically communicated. The service provided by the agency has been super and everything went as planned. 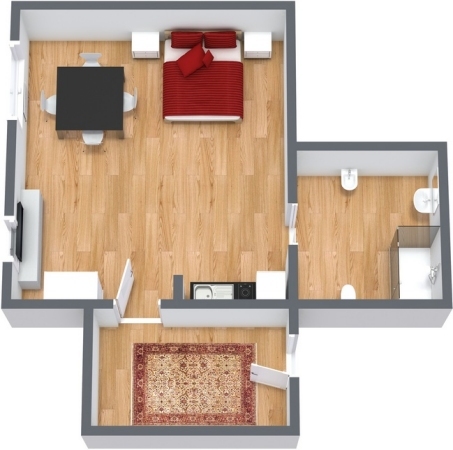 The apartment is quite spacious and equipped with everything you need. It is clean, well furnished and convenient to visit the city, given the central location. The only drawback: it is a shame that there are no towels or other to wipe the dishes because there is no space in the kitchen to put them wet.Very liked the window covered from looks Indiscreet thanks to the vegetation that is ahead. Comfortable and relaxing atmosphere. A little expensive, but in line with the standard of Venice. A quick and courteous service, but it was not very easy to find because the meeting place was quite busy. I advise putting something characteristic that allows customers to recognize the owner. central, functional, quiet, efficient and precise service. We found the apartment 118 in the late afternoon on June 1, after having been warmly welcomed by Valentina's husband. Immediately, he gave us some advice, including assistance for the internet. Only a small criticism, however, basic equipment in the dishes ... but that is not necessarily the most important. Great location, very comfortable. Perfect service. Apartment very comfortable, quiet, 10min to San Marco and very good welcome from Valentina. My only complaint with the apartment would be the lack of ventilation (due to it's ground floor location and that the window didn't open far enough to get a breeze going), and the fact that occasionally the two single beds were uncomfortable to use as a double bed. Other than that it was clean, perfectly located and I would definitely recommend it for a short stay in Venice. Apartment basic but very clean. 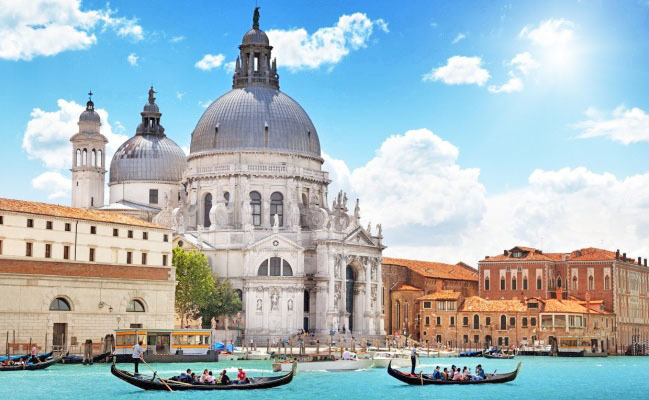 Ideally located in the center of Venice, while being very quiet. Ideal to discover your beautiful city. We are back and can give you our appreciation about our stay in the housing n ° 117. Note 4 for the apartment. We enjoyed the veryquiet area, the accommodation corresponded to our expectations, comfortable, well heated, well equipped. Only drawback: poor soundproofing between the bathrooms of both homes (although discreet neighbors during our stay). Very good reception of Elisa, very quick reaction to our needs during the stay. Best regards. The apartment met overall our expectations and its description. Very well equipped, comfortable, nice, very clean. Very poorly soundproof, fortunately our neighbors were discreet and calm. Very good service with answers to my emails before arrival on site. Excellent welcome by Elisa. Everything adjusted to what was expected, even more. It has everything you need. We do not miss or need anything. As an aspect to improve, the soundproofing of the room, and sudden changes in temperature of the shower water. But, great. I would repeat again without any doubt. I will recommend you. Rating 4 to the apartment. We were very pleased with our stay in Venice in apartment N ° 117 which corresponded to the description. Good location, very quiet to sleep well. We enjoyed and we would like to point out the quality of the welcome and the availability of Valentina. The accommodation is sacrificed though ordered, clean and complete with everything. I was very pleased, great welcome and availability, the apartment is a small jewel in the ancient heart of Venice. Excellent location. Highly comfortable bed. Minimal kitchen equipment. The apartment is at a relative distance from St. Mark zone you can reach through pleasant streets that match the aesthetics of the landscape with varied shops that light up with joy the way. Near a well-stocked grocery. pleasant apartment, with kitchen stocked of essential service, warm and comfortable for a holiday stay, even in winter as in this case. 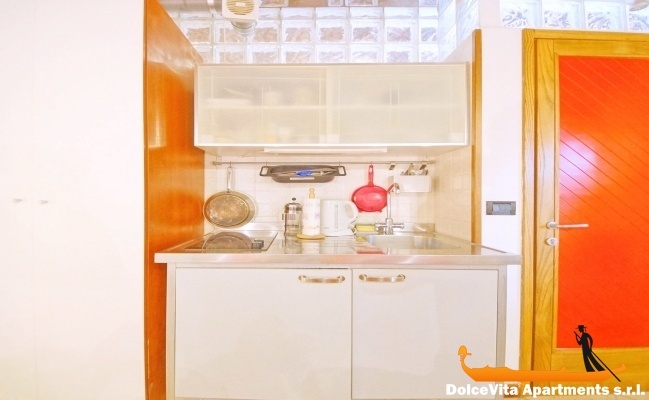 Apartment very well located to know venice, small but cozy, just for two people is great. The girl who received us, Valentina, was very quick and came to solve any problems. The service was excellent, everything well displayed and explained, as expected. The apartment No. 117 is in conformity with our expectation, good location. In terms of your service, we find it good overall. The apartment is well located and it has been completely renovated. Well located, clean, the bathroom a bit small and acoustic insulation with the other apartment is too low. The apartment is well located, central and fully equipped. It is in a very quiet street ... the pier is very close ..
We were pleasantly surprised by decor and the presence of all the basic utensils for cooking. Only the fridge was not working really good but it was convenient to have one. However the apartment is comfortable enough (arrangement, place ....), clean and the location is ideal, very quiet street, near a small bar / restaurant cheap, Rialto 5 minutes city centre in 10min .. .. Apartment well located, pity there is no window in the bathroom / toilet, 1 microwave missing. Friendly welcome by the son of the owner. All information is clearly specified at the time of booking. Serious agency to recommend. We had a very enjoyable stay of 4 nights in Venice, in the apartment 117, with a personalized welcome at the vaporetto station near the studio. This studio is for 2 people and it's well equipped with a good sleeping and very well located in the center of the tourist area of Venise. However it is very quiet. In summary we are generally very satisfied with the whole service and we will not hesitate to use your services again. We expected the person to the pier. After a call, his son came to meet us. Well located to visit, a little humid but nothing was lacking. A grocery store nearby was greatly appreciated. 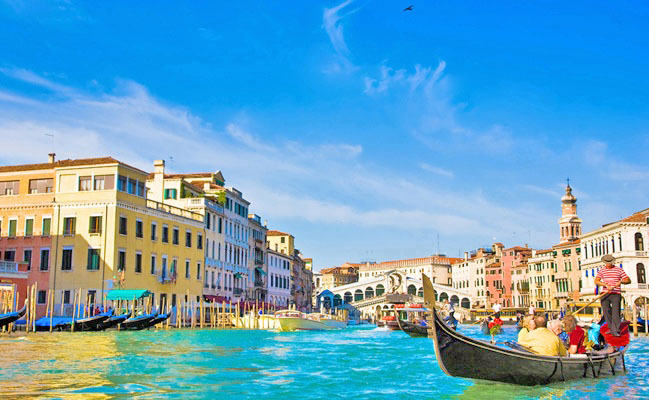 Very well located in Venice, very cozy neighborhood with nice shops and boutiques, close to vaporetto station. Central apartment, public transport is really easy to reach. Apartment in excellent condition and quiet. 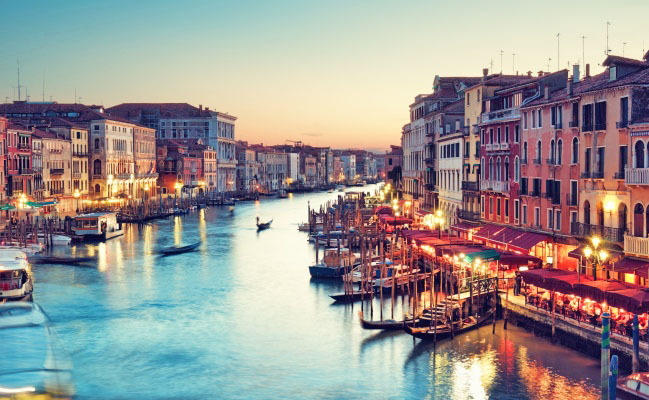 I recommend it to visit Venice. The service of your society was perfect. Valentina has always been very helpful. Good location, quiet, clean, well equipped, tastefully decorated. Very correct and well placed. Excellent area in which it is situated: very central and well connected. 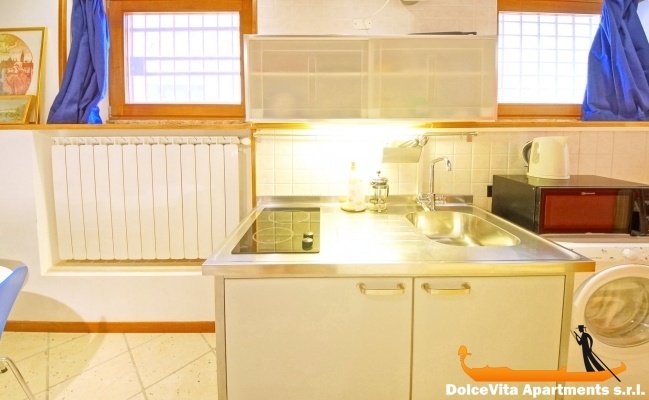 Very clean apartment: 5, well equipped and designed for a short stay in central Venice, we have a favorable opinion. Good location, we would like to have more information about the operation of the wi-fi.